Yesterday I revealed that even though my family loves animals, I just can't. 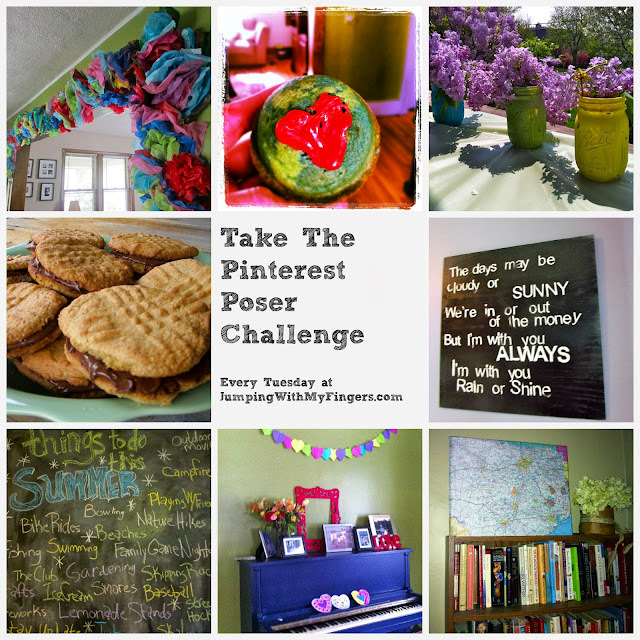 And now I am confessing a few of my Pinterest Poser Challenge* Fails and some other just can'ts. I just can't make perfectly drawn chevron pumpkins. I tried though (based on a Pinterest post). I taped my pumpkin with Lucy's purple Duck Tape in a sort of chevron pattern and started painting my pumpkin orange. That sounds so weird, but yeah, I painted my white pumpkin orange. And it looks okay, maybe, right? But look closer....nothing Pinterest perfect about that chevron paint job. I just can't love kale chips. I am not a kale hater. I like kale. But the trendy homemade kale chips, nope. I tried (inspired by a Pinterest post). After I tasted them, I didn't even make the kids try them. It was like eating salted, thin paper with a bad after taste. 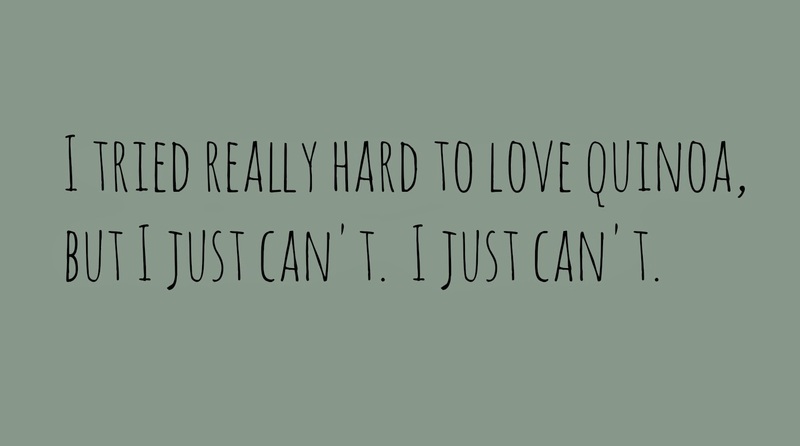 I just can't. I don't love quinoa, okay I hate it. I've tried quite a few different recipes adding veggies and spices and flavor, but I just can't. And I really want to like it because it's gluten free and we are a gluten free family and they are making entire cook books, web sites, blogs and more about the stuff. But nope. 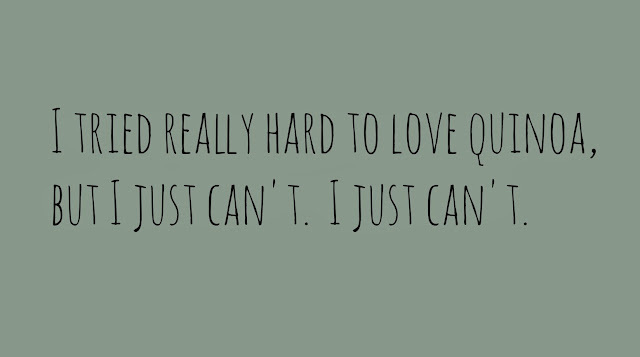 I just can't eat/make/love quinoa. Have you made anything on Pinterest lately and just can't? Share what worked and what didn't, leave a comment here or on my Facebook page. 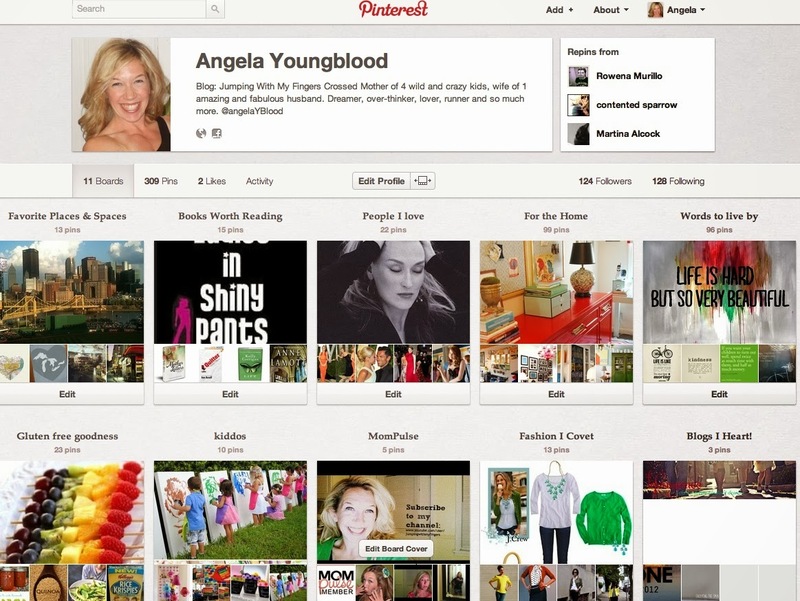 look how many pinterest projects you've done...that's a pretty awesome list! Oh man...I love quinoa! Even the kids eat it when I make it like mac and cheese (milk, butter, cheese stirred in). But I like it all different ways. I did try the kale chips and they were okay. But your description cracks me up.